Rocksteady Sporting Club's first album... thanks to YOU! After four 7" singles, the Rocksteady Sporting Club goes to LP, with the recording of its first full length album. 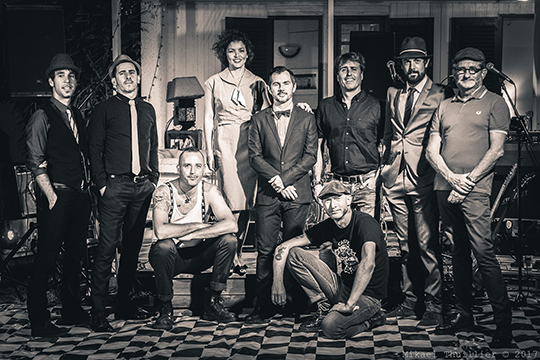 8 brand new songs, marking a turning-point in RSC’s sound: while ska and rocksteady influences are still present, rock and soul tunes assert themselves, as well as the voice of Manou, the lead female singer. All this leads to a less « vintage » but much more « direct » and contemporary sound, closer to the band’s current development, after 15 years of experience. 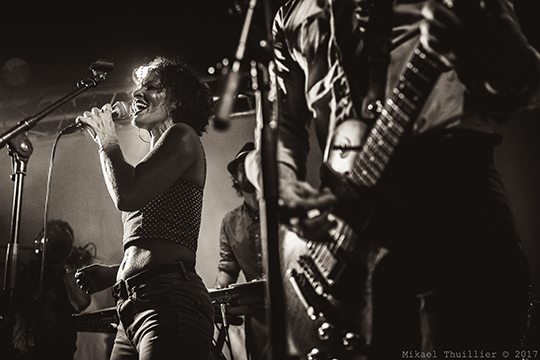 Born on an island (Reunion Island, between Madagascar and Mauritius), the Rocksteady Sporting Club has always been centered around its charismatic singer, Manou, a character of its own. So « Holy Soul - Backyard Diaries » will be, fairly enough, a kind of concept album. A logbook run by a fictional character, combining lives of real-life figures and Manou herself. The artwork of the album is created by CLEIII, an artist hailing from Reunion Island. 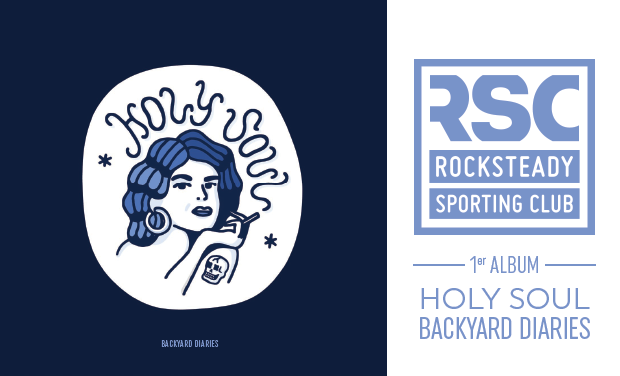 After a first French tour in 2016, the RSC will present « Holy Soul - Backyard Diaries » on stage starting from march 2019. In the meantime, many thanks for your past, present and forthcoming support! And first, why using crowdfunding? 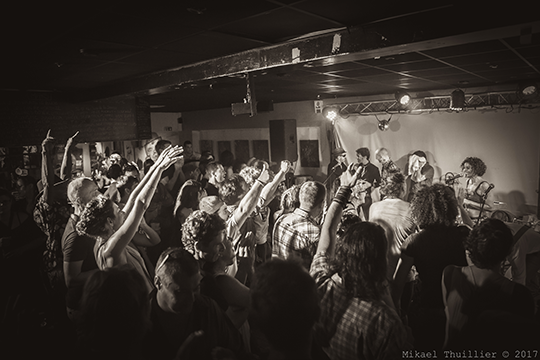 Considering all your feedbacks, after our gigs or following the releases of our 7 » singles, may it be in Reunion Island, France, UK, Mexico, or USA, it seemed obvious to us that you should be our partners in the evolution of our project. This is not a minor step, this is a new level for the band that we’d like to reach with your help. New ambitions means new needs, and your participation will be precious, if not necessary, on different levels. What if the raising gets beyond the requested amount? The Rocksteady Sporting Club association will perceive 100% of the raising. A huge "thank you", a sticker and a badge at the colors of the album. A huge "thank you", a sticker and a badge at the colors of the album, a "vintage" 40x60 poster, digital version of the album. A huge "thank you", a sticker and a badge at the colors of the album, a "vintage" 40x60 poster, one of the previous 7" singles (depending on the stock), and digital version of the album. A huge "thank you", a sticker and a badge at the colors of the album, one of the previous 7" singles (depending on the stock), and the album "Holy Soul - Backyard Diaries" on vinyl and digital. A huge "thank you", a sticker and a badge at the colors of the album, and the album "Holy Soul - Backyard Diaries" on vinyl, CD and digital. A huge "thank you", a sticker and a badge at the colors of the album, the album "Holy Soul - Backyard Diaries" on vinyl, CD and digital, a t-shirt (organic cotton and ink - in partnership with Bouftang brand), a "vintage" 40x60 poster, and one of the previous 7" singles (depending on the stock). A huge "thank you", a sticker and a badge at the colors of the album, the album "Holy Soul - Backyard Diaries" on vinyl, CD and digital, a t-shirt (organic cotton and ink - in partnership with Bouftang brand), an original screen printing of the album's artwork, and a signed picture. A huge "thank you", a sticker and a badge at the colors of the album, the album "Holy Soul - Backyard Diaries" on vinyl, CD and digital, a t-shirt (organic cotton and ink - in partnership with Bouftang brand), an original screen printing of the album's artwork, a signed picture, and a full week-end in the heights of Reunion Island with the whole RSC team, apéro and local food included! A huge "thank you", a sticker and a badge at the colors of the album, the album "Holy Soul - Backyard Diaries" on vinyl, CD and digital, a t-shirt (organic cotton and ink - in partnership with Bouftang brand), an original screen printing of the album's artwork, a signed picture, and a private gig of the Rocksteady Sporting Club!